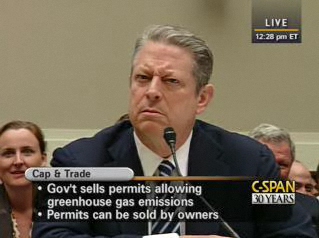 « Al Gore lies to Congress: Part 2 — Goldman who? At the April 24 House Energy and Environment Subcommittee hearing when Rep. Steve Scalise (R-LA) asked Al Gore about his business interests with the Wall Street firm of Goldman Sachs, Gore scrunched up his face like he had never even heard of anything called a “Goldman Sachs” and, then, twice denied that he had any business interests with the Wall street firm. 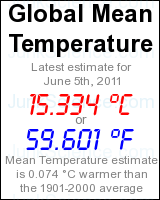 We now know, of course, that Al Gore did not tell the truth. Via the venture capital firm of Kleiner Perkins where he is a partner, Gore has invested along with Goldman Sachs in a floundering oil drilling company called Terralliance. The photo, below, shows Al Gore at his moment of untruth. This entry was posted on	April 27, 2009 at 7:35 pm	and is filed under New Social Order.